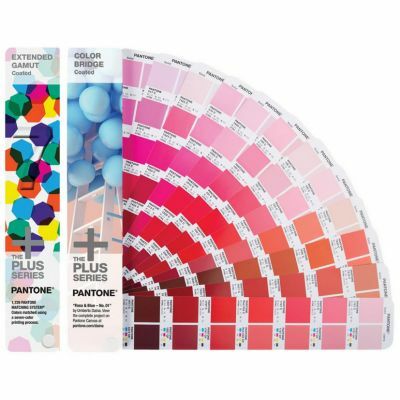 Extend your Colour Expectations with the Pantone Extended Gamut seven colour process Guide. 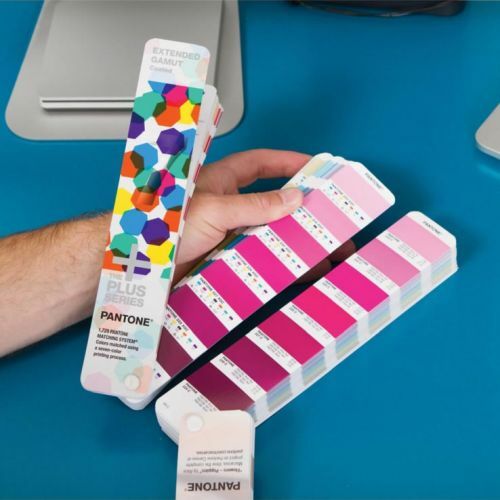 Reproducing corporate colours or brand logos in CMYK can prove challenging to both designers and printers, and for years now the only way to determine how closely a CMYK process colour could be matched to a specific Pantone Spot Colour has been to refer to Pantone's ground breaking Pantone Color Bridge. 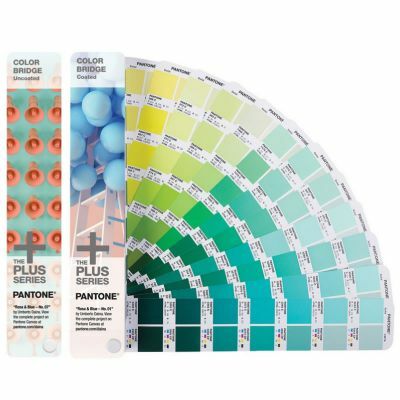 But now, thanks to the advancements in process printing technology, Pantone Extended Gamut Coated Guide provides more colour matching assistance and choices than ever before. 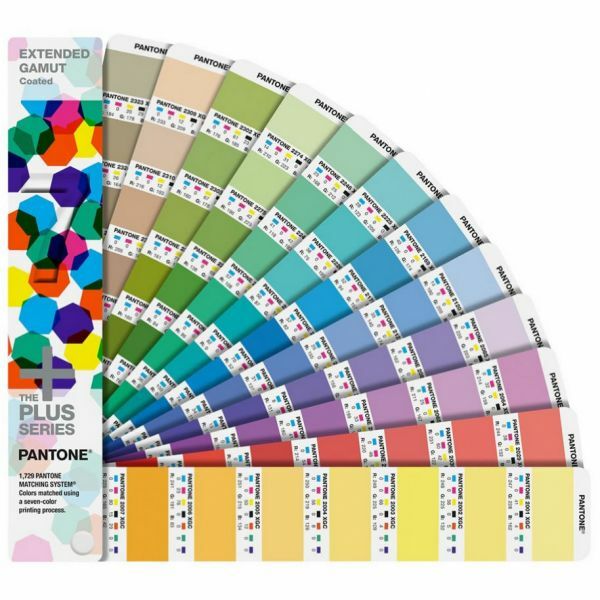 The guide is printed with an extremely high quality, seven-colour printing process using Cyan, Magenta, Yellow and Black inks (CMYK), plus commonly used Orange, Green and Violet inks (OGV). 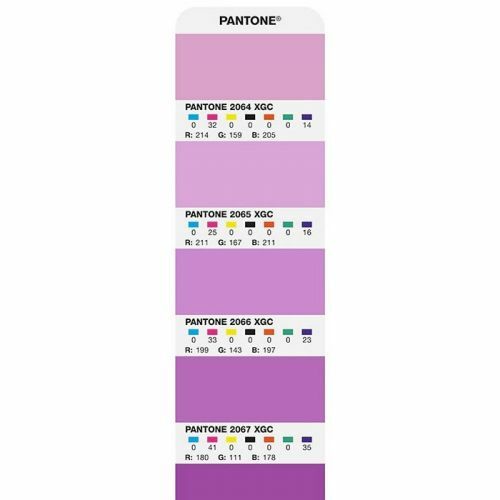 These OGV colours extend the colour gamut significantly, enabling closer matching of Pantone Spot Colours than ever before. 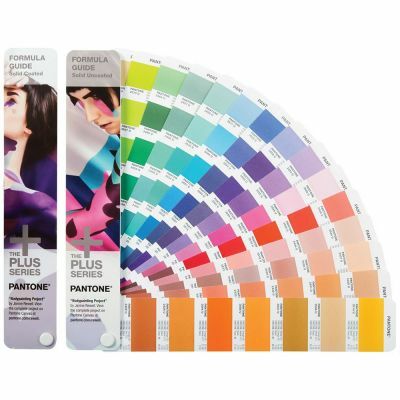 After purchase registration of this product includes a free download of the Pantone Colour Manager Software. 1,729 seven-colour process simulations of Pantone Solid Colours on coated stock. Closest seven-colour process match with sRGB* values. Screen tint percentages displayed as viewed under D50 lighting (5000° K). Colours bleed off page edges for ease and accuracy when comparison checking. Most commonly used text-weight paper stock. Each colour identified with a distinct Extended Gamut Coated (XGC) Number and/or name.